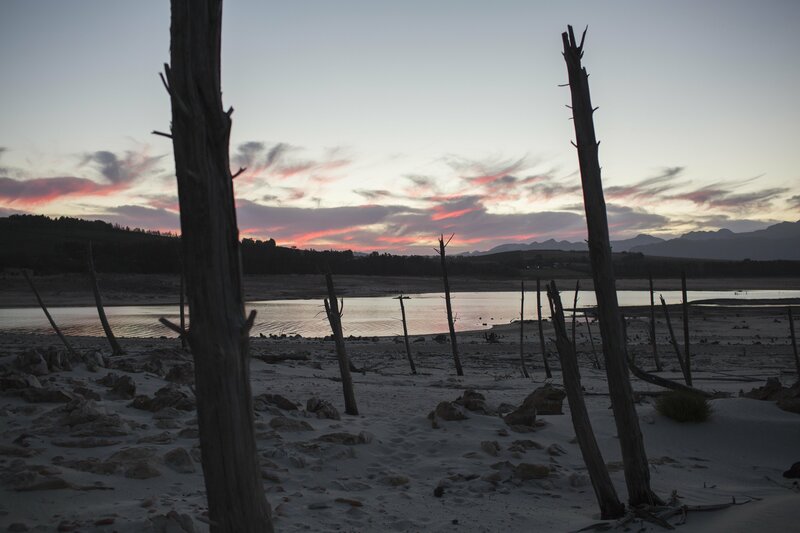 Cape Town would become the world's first major city to run out of water. After years of severe drought, Cape Town, South Africa, is about to run out of water — unless businesses and residents comply with water restrictions designed to prevent Day Zero from arriving. On May 11, the municipal dam’s water level will fall below 13.5% and force the Cape Town government to turn off taps around the city. After Day Zero, government officials said water will still flow at hospitals, health clinics, and other essential service providers, but individual residents will have to wait on line at 200 community taps to receive a 25-liter daily water ration. That will be a major disruption for the region’s wealthy residents who are used to freely consuming water and, in many cases, seem unwilling to comply with the current 50-liters-per-day ration, according to the Associated Press. 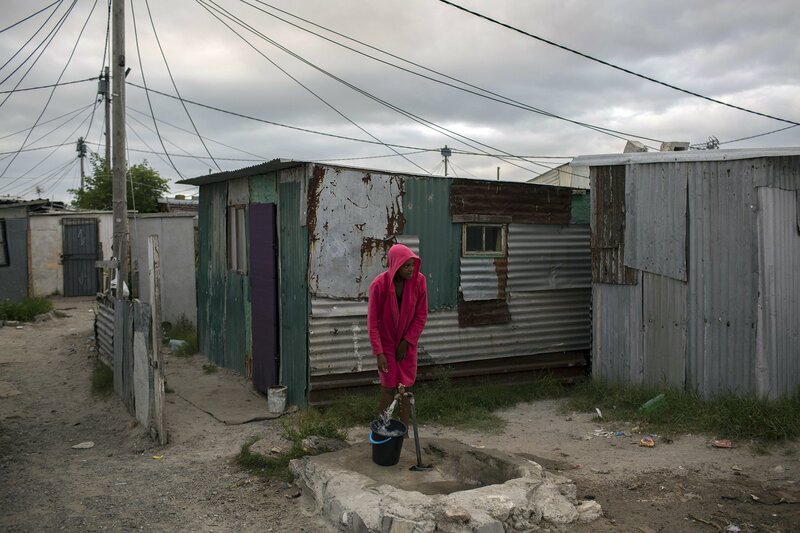 But it’s a familiar experience for millions of poor Capetonians who share taps and toilets inside Apartheid-era settlements known as townships. The townships were designed to segregate black South Africans and continue to divide the city by race, income, and even access to clean water, according to the Guardian. The water crisis puts Cape Town on pace to become the world’s first — and likely not the last — major city to run out of water. 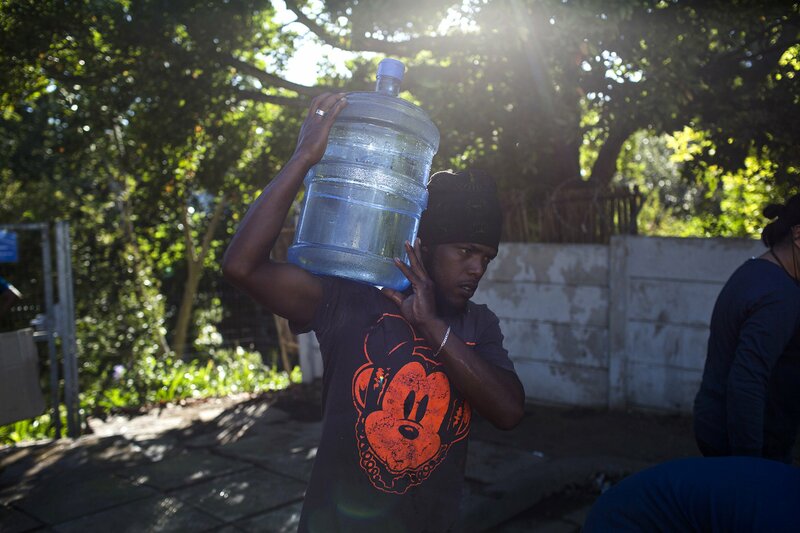 A man carries water at a source for natural spring water in Cape Town, Feb. 1, 2018. South Africa's drought-hit city of Cape Town plans to introduce new water restrictions in an attempt to avoid what it calls "Day Zero," the day in mid-April when it might have to turn off most taps. Theewaterskloof Dam dips to 15.5% capacity on Jan. 15, 2018 in Cape Town, South Africa. 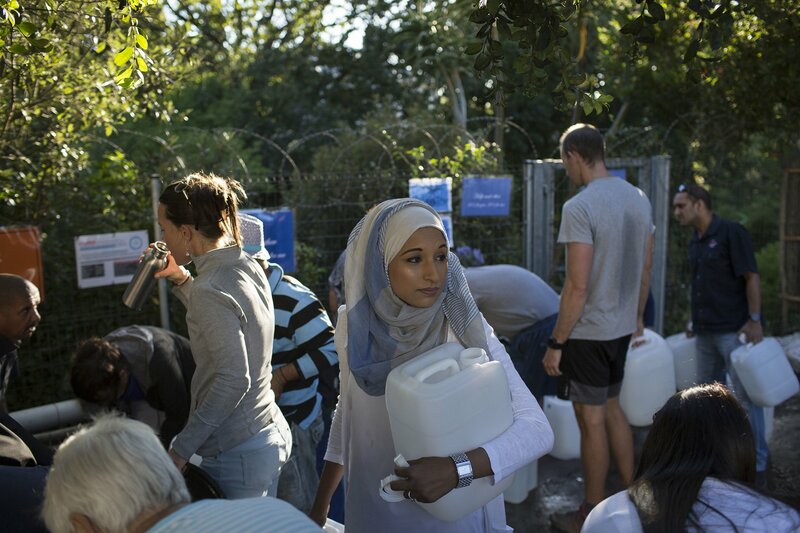 Cape Town residents queue to refill water bottles at Newlands Brewery Spring Water Point on January 30, 2018 in Cape Town, South Africa. A woman collects water in a settlement near Cape Town on Feb. 2, 2018. Theewaterskloof Dam dips to 15.5% capacity on Jan. 15, 2018 in Cape Town, South Africa. Water will be restricted from 87 litres per day to 50 litres as temperatures reach 82 degrees Fahrenheit later this week. Politicians are blaming each other and residents for the deepening crisis. Cape Town residents queue to refill water bottles at Newlands Brewery Spring Water Point on Jan. 30, 2018 in Cape Town, South Africa. A woman waits to collect water at a source for natural spring water in Cape Town, Feb. 1, 2018.